On March 23–26, Re:Think 2014 drew industry leaders from leading advertisers, marketing companies, research companies, and advertising agencies to "Inspire Intelligent Growth" and help our industry make smarter, faster, better business decisions. The conference started with a Sunday Kickoff featuring ARF's latest initiatives and continued with three days and three distinct themes: rethinking consumer engagement, rethinking creative, and rethinking career skills. We heard inspiring talks from industry greats like Keith Reinhard (DDB Worldwide) and Carolyn Everson (Facebook), as well as experts outside our industry like Paul Grieco (Hearth and Terroir Wine Bars) and Susan Cain (bestselling author of Quiet: The Power of Introverts in a World That Can't Stop Talking). Attendees also gained groundbreaking insights from over 50 winning paper presentations—more than ever before—on important topics like mobile, social media, cross-platform, neuroscience, and more. And each day ended with a celebration, from the Kickoff and President's Receptions to two fantastic award shows honoring great research and great minds: the David Ogilvy Awards and Great Mind Awards. Check back soon—we'll be posting photos and videos from throughout the event. We would like to thank all of the attendees, speakers, and sponsors who made Re:Think 2014 a success! 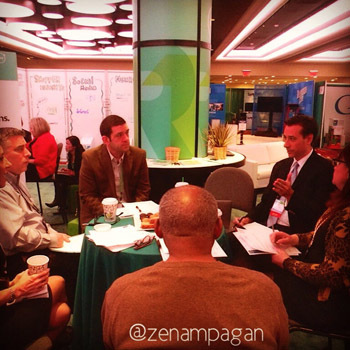 Make sure to mark your calendars: We'll see you next year at Re:Think 2015, March 15–18, 2015, at the New York Hilton, New York, NY! Keynote Susan Cain, bestselling author of Quiet: The Power of Introverts in a World That Can't Stop Talking, delivered an insightful talk about introverts in the workplace and how introversion can be advantageous to team, career, and personal brand building. 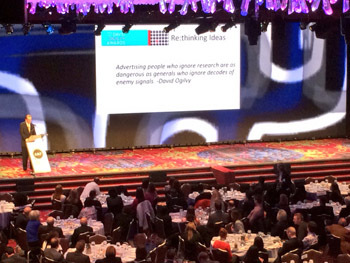 At the Great Mind Awards luncheon, ARF CEO Gayle Fuguitt announced the new JAR Executive Editors. Congratulations to John Ford, Old Dominion University, and Jenni Romaniuk, Ehrenberg Bass Institute! The Great Mind Awards trophies ready to go! GfK Next Generation Award recipients. 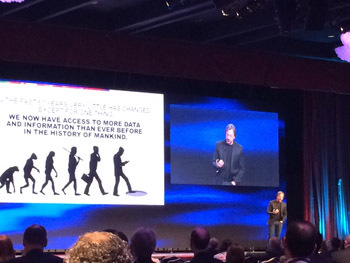 Another insights-packed day at Re:Think 2014—fantastic speakers, groundbreaking presentations, and more! Re:Think 2014 has begun! We've heard engaging keynotes and gained insights from groundbreaking studies on topics such as cross-platform, social media, mobile, and more. The advertising legend shared how research played a part in his career. 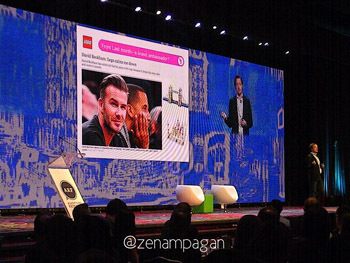 Peter Espersen shared how The LEGO Group uses it uses data from fans to remain a cultural phenomenon and drive growth.